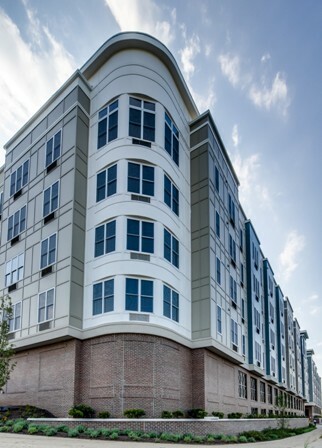 The Monarch, the luxury rental community located directly across from MetLife Stadium in East Rutherford, NJ, continues to be one of the hottest choices in the rental market this fall as renters discover the combination of convenience, luxury and value it offers. Just weeks after The Monarch’s Grand Opening, the modern, well-appointed building already feels like a thriving community full of happy residents, and new move-ins are taking place every day. A limited number of early-bird savings opportunities are also still available for renters who hurry. Those deals, combined with the community’s impressive luxury residences and all-inclusive suite of lifestyle amenities, have ensured a brisk leasing pace. Known for its array of all-inclusive lifestyle amenities and its ultra-convenient location just a few miles from Manhattan, The Monarch proudly delivers new construction one- and two- bedroom apartments to the Bergen County marketplace with an enticing value proposition: renters who lease now can still take advantage of The Monarch’s Grand Opening pricing, now starting from under $1,800 per month for one-bedrooms and $2,395 for two-bedrooms. To sweeten the deal, limited-time “Early Bird” promotions have just recently been extended, offering unbeatable values of up to two month’s free rent on select residence types (based on a 14-month lease), and one parking spot included at no cost. “This Grand Opening promotion offers renters a superior lifestyle without breaking the bank, but it won’t last forever. Whether you’re looking to move tomorrow or in a couple of months, why not secure a fantastic deal for yourself now?” Ms. Hedden said. Residences at The Monarch range in size from 604 to 1,182 square feet and include contemporary features designed to appeal to today’s renter. Hardwood floors are included throughout the living areas and the bedrooms boast plush carpeting. All homes also include chef-inspired kitchens with stainless steel appliances, in-home washer/dryers and large windows that frame spectacular views of the surrounding landscape. The Monarch includes all of the amenities that today’s sophisticated renter has come to expect. A double-height residents’ lounge, WiFi business cafe, state-of-the-art fitness center, yoga room, children’s play room, outdoor heated pool terrace, and two distinct outdoor courtyards are just a few components of the over-the-top amenity package. The residents’ lounge includes a bar area, comfortable entertaining areas, multiple flat screen TVs, a poker table, billiards, foosball and other games. The pool terrace features a heated outdoor pool and lounge seating. The two courtyards are designed to be a “quiet zone” and an “active zone” respectively, with a quiet courtyard that boasts a great lawn, fire pit and landscaped walking paths, while the active courtyard offers a giant chess board, art sculptures, a fire pit, BBQs, and other fun amenities. On-site garage parking is also provided.